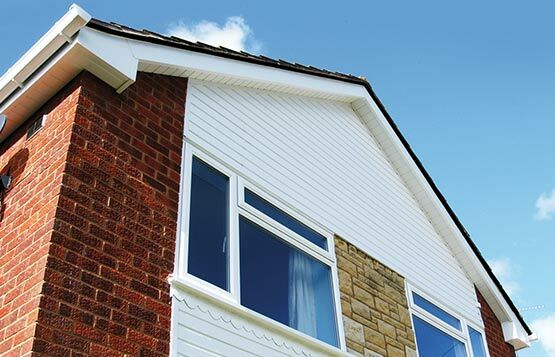 Premier Plastics supply a wide range of uPVC fascias, soffits, cladding and guttering designed to effectively weatherproof your home. Available in a range of finishes, they come with a 20-year guarantee against cracking, warping or discolouration. Damp is always on the lookout for finding new and interesting ways to infiltrate your home, so it’s important to give it as much protection as possible to avoid costly repairs. By installing a reliable system for transporting water away from your home can minimise the risk of damp. 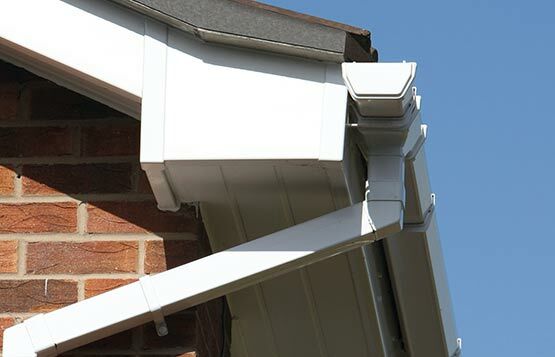 We have the perfect solution with our range of reliable and robust uPVC guttering and drainage systems. It’s manufactured from high impact, high-gloss uPVC and comes in various different colours to complement your home. 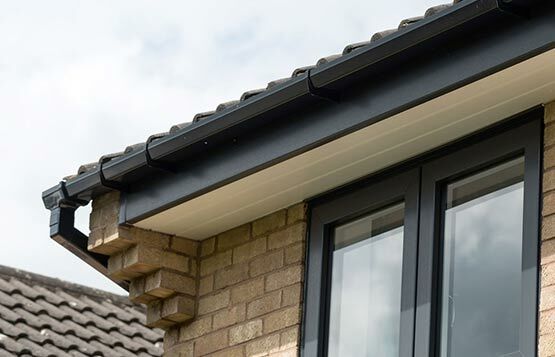 The fascia board (the long uPVC board that connects your roof to your wall) plays a vital role in creating a weather resistant barrier between your home and the elements. Its job is to support the bottom row of roof tiles and all the guttering, so it’s essential that they’re robust, low maintenance and provide effective protection against the weather. Our uPVC fascia boards are just that. Made from 18mm thick high quality uPVC, they provide long-term protection for your roof. 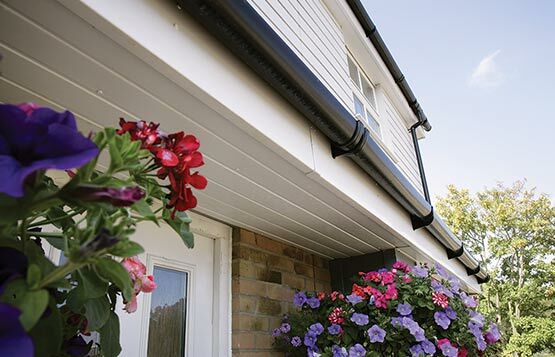 Easy to install uPVC soffit boards, designed for long-lasting protection. We offer three types of soffit to protect your home and complete your weatherproofing system. The euro soffit board with built in ventilation, the 9mm utility board with the option for separate vents and the hollow soffit board providing a lightweight and cost effective option. Available in a variety of widths, colours and styles you can tailor your roofline protection to exactly how you want it to. Our soffit boards also benefit from our 20-year guarantee against cracking, warping or discolouration, so your home will always look 100%. Despite your best efforts, your roofline may seem like it’s missing a little something extra. That is where uPVC cladding can be the final piece to the puzzle. This weather resistant, BBA approved alternative to timber cladding comes in a range of styles and finishes without compromising protection. Thanks to a simple clip-together fitting system, Premier Plastics can supply and install your new uPVC cladding with the minimum of fuss. Here at Premier Plastics we go the extra mile. Not only do we supply our customers with quality roofline products, but we can also install them for you. Our experienced team is on hand to make sure that the process is quick and painless. For more information about how our installation team can help, please feel free to contact us on 01344 304761. Why not come and visit our showroom at Moss End Garden Centre in Warfield near Bracknell, where we have a wide range of windows, doors, and other products on show. You can discuss your requirements with us in comfort, and browse our ranges of door and window hardware and locking systems to see which is right for you. If you are not able to come to us however, we are always happy to come to you. Just call us to book an appointment.